Haim translates that party vibe to the stage. They have the soul of R&B and the ethos of a jamband—it’s all about the live show. 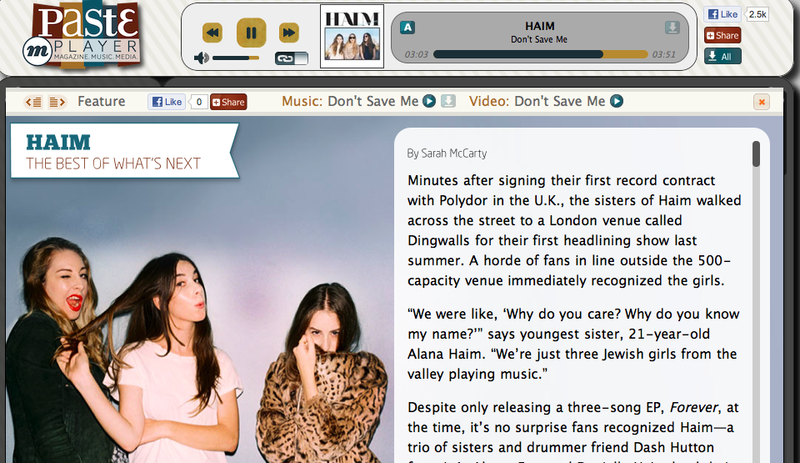 For the full article, click Haim – The Best of What’s Next – PASTE.COM.